PARBOND Polyurethane Adhesivesfrom Parson Adhesives are primarily used for automotive applications and industrial applications, mainly for repair and maintenance work. Polyurethane Adhesives provide excellent bonding for both, like and dislike surfaces including ceramics, plastics, rubber, glass, metals and wood. Because of their versatility, Polyurethane Adhesives are widely used where it is required to have higher efficiency at a low operating cost. They find applications in industries like Aerospace, Automobile, Marine, Locomotives, and Optical & Glass Bonding Applications. 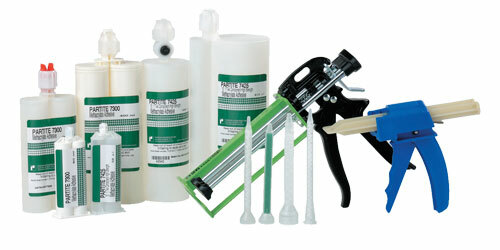 Polyurethane Adhesives offer versatile curing times at room and elevated temperatures. They can be applied either manually or using the dispensing equipment specially designed for these adhesives.